I am an avid reader and one of my pet peeves is reading zombie novels. 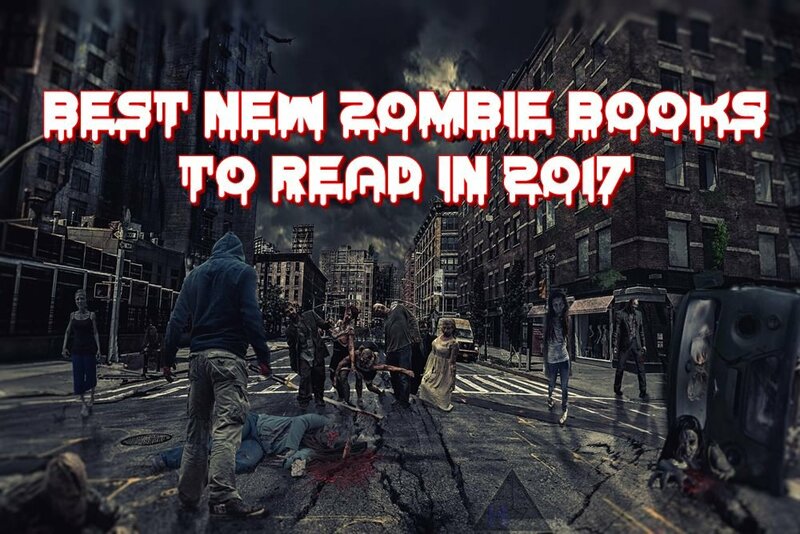 I’ve made it a habit to share with you, every year, the best new zombie books released in the first months of the year, so that you have a lot of great zombie literature to read. The truth is that zombie novels have a pretty large fan base and a ton of zombie apocalypse books are launched each month, so finding the really high quality ones might prove to be a bit more difficult than one would imagine at first. But since I do a ton of reading and research on these books, I can share with you the best new zombie books to read in 2017 – listed in no particular order below. Please have in mind that I am only listing zombie books launched in 2017 which are not already part of a series. So even though Mark Tufo (for example) has launched a few great zombie books already this year, you won’t find his work on the list – nor the work of other well known authors if the published books are part of a series launched before 2017. I think this gives you even more chances of finding great new zombie novels and series to read and great new authors to discover. UPDATE: The list of the best new zombie books of 2018 has been published, make sure to check it out as well if you want even more zombie greatness! An ancient virus has surfaced on Long Island, NY, turning its victims into black-veined, infectious, psychopathic killers. Chaos and madness rule. 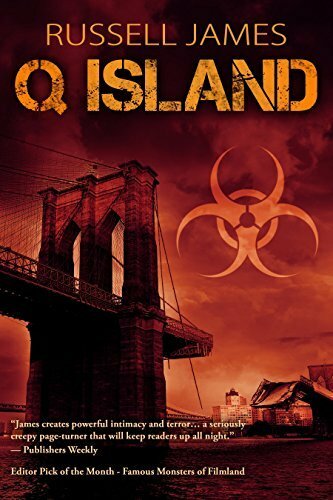 In desperation, the military quarantines the island, trapping Melanie Bailey and her autistic son Aiden. Somehow Aiden survives infection. He could be the key to a cure…if Melanie can get him to the mainland. Heart-pounding action in a world filled with the undead. Click here to start reading this book now. Master Sergeant Reed Beckham has led his Delta Force Team, codenamed Ghost, through every kind of hell imaginable and never lost a man. When a top secret Medical Corps research facility goes dark, Team Ghost is called in to face their deadliest enemy yet–a variant strain of Ebola that turns men into monsters. After barely escaping with his life, Beckham returns to Fort Bragg in the midst of a new type of war. 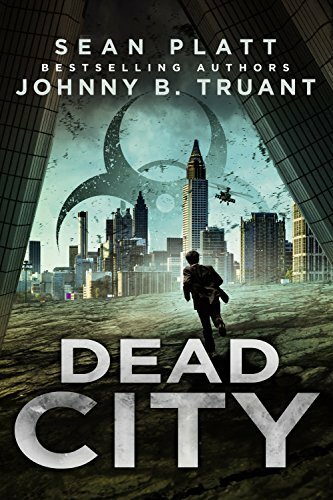 As cities fall, Team Ghost is ordered to keep CDC virologist Dr. Kate Lovato alive long enough to find a cure. What she uncovers will change everything. The world is Cassie Fremont’s playground. Her face is on the cover of every newspaper. She has no homework, no curfew, and no credit limit, and she spends her days traveling the country with her friends, including a boy who would do the chicken dance with death to make her smile. Life is just about perfect—except that those newspaper headlines are about her bludgeoning her crush to death with a paintball gun, she has to fight ravenous walking corpses every time she steps outside, and one of her friends is still missing, trapped somewhere in the distant, practically impassable wreckage of Manhattan. 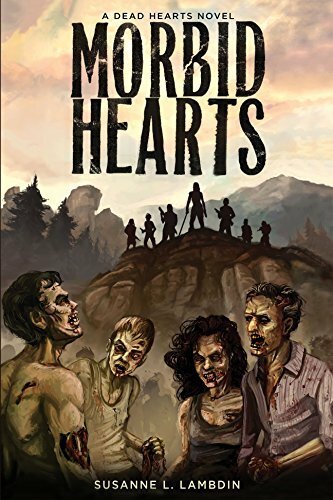 I’m not the biggest fan of Young Adult fiction, especially when it comes to zombies, but this one is good and those who already enjoy reading this type of novels will surely enjoy it even more. So click here to check it out today. 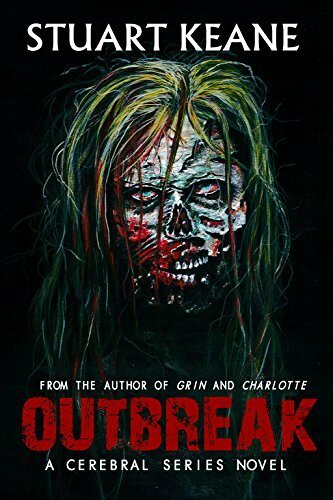 A few months before Jack and Darlene’s arrival, a mysterious flu-like virus swept through the town, infecting nearly every citizen. Now, like ticking time-bombs ready to explode, everyone is dropping dead. But they aren’t staying dead. No. They’re coming back as flesh-eating zombies. 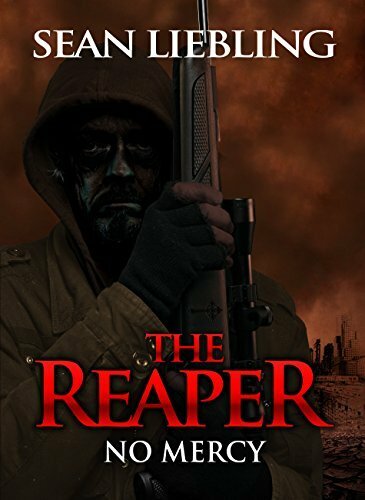 Not only will Jack Jupiter have to bury his mother, confront high school bullies, and save Darlene, but he’ll have to fight the dead in order to stay alive. And these aren’t like the zombies from his books. A really good new series for zombie fans out there. It has a bit of Walking Dead, a bit of George A Romero… and a lot of zombies. A real page turner! Click here to check it out now. Ian Keys’s rocket career took him to the top of pharma giant Hemisphere — creator of Necrophage, the drug that paused the outbreak and allowed the infected to live among us as normal. Ian’s new position gives him access to secrets. To information the company doesn’t want others to know. And now, an anonymous insider has begun feeding him ominous hints. Ian can’t say what’s wrong at Hemisphere, exactly — only that something is. And that the “cure” the company gave the world might not have been a cure at all. 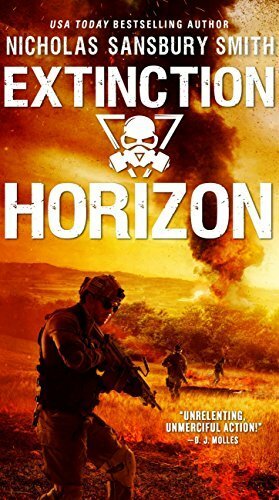 A different take on the zombie genre and a twist that I absolutely enjoyed. I am sure you will love this novel as well! Unfortunately, not many people have read Stuart Keane’s books, even though he has a few of them self-published. 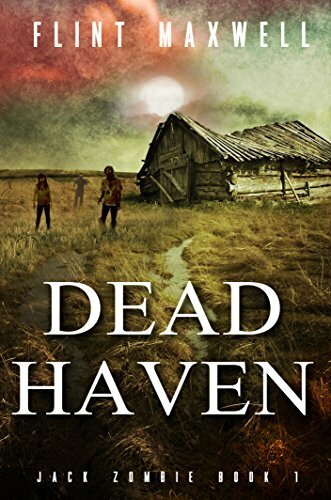 I really like him as an author (I recommend the Whispers series, for example, even though it’s not zombie literature) and I am happy to see him test the waters with a zombie novel which turns into a really promising new series. Barrington is a quiet town; friendly, quaint, and welcoming. But like any other town, it has its fair share of secrets, none more so than Dr Nichols, a talented scientist whose mysterious existence is marred by spiteful gossip, urban legend and exaggerated speculation. 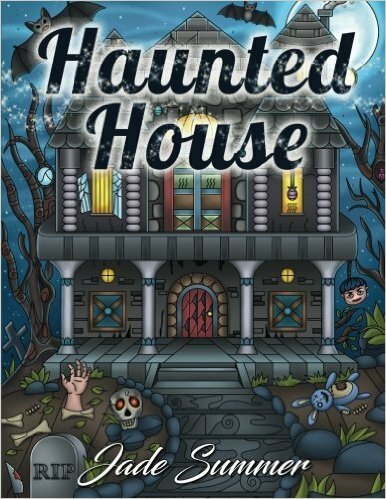 Residing in the picturesque mansion on the hill, people see the man as a ghoul, a pariah who experiments on innocent people. Yet, despite their willingness to partake in the hearsay, no one has ever confirmed these malicious rumors… but the outbreak is about to begin. Give it a try here, you will love it! 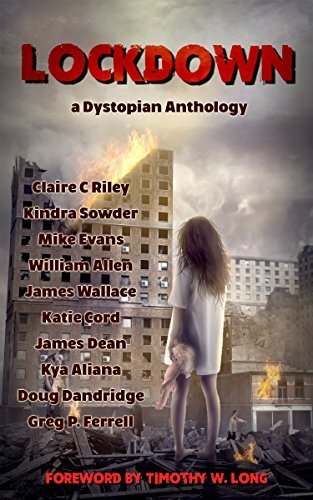 From truly gruesome to plain hilarious, you get it all from these 10 short stories in a book you won’t put down until you’re done reading it! It’s been eleven months since a deadly virus wiped out billions. For the few who remain, life as they knew it is over. Nations fell, governments were rendered obsolete, and resources became scarce. The human race had to start over, facing even greater odds… Zombies! Now, the main character, a 17 year old girl named Cadence, leads safety patrols and supply missions for a survivor’s camp at Pike’s Peak. When a routine mission goes south, Cadence gets more than she bargained for. She must lead a ragtag group of teens against an onslaught of scavengers, zombies, power-hungry military leaders… and a mutating virus. Click here to start reading this great series today. Captain Jason Scott had retired from the United States Marine Corp as a Force Recon sniper with the 1st Marine Division. Now a hard-working family man, his life revolved around his wife, children, and grandchildren. Upon arriving home after working third shift on the day the undead rose, he found his entire family slaughtered. Berserk with rage, he killed every zombie in sight using any means at hand. They truly died under his wrath, and he survived. It was then that he realized the Lord had a new mission for him. And you’ll love every single bit of it! Click here to find out more and start reading ASAP. This year I decided to do something special and share with you a coloring book. Before you start laughing, let me tell you that this is a coloring book for adults (and we’ve already listed a bunch of the best in a previous article). Although it’s not completely zombie-themed, it has all sorts of monsters and horror-themed scenes that you will absolutely love it. I sure did! It comes with colored pencils, pens, and fine-tipped markers in case you don’t have some high quality ones laying around and they can help you relieve stress and truly enjoy your work. It’s a perfect break in between zombie novel pages, so if you haven’t tried a coloring book for adults, start with this one. If you did, you already know what it’s all about and you’ll love this horror-themed one. Click here to find out more and get yours today. (also check out the comments for more photos of the art you’ll get to draw). If you enjoyed my list, you might want to check out recommended books of the previous years: best new zombie books of 2015 & best new zombie books of 2016. As always, if you manage to stumble upon an amazing zombie novel that you think everybody should read – and it was released in 2017 – don’t hesitate to share it with us in the comment section below. Until then, make sure to enjoy our recommendations above! Previous articleBest Baby Groot Items You Must Own! The Book of Roland by James Master and Zombified by Kindra Sowder and Santiago Cirillo both came out in February and they were amazing! Thanks for sharing, Bob! I’ll surely check them out! 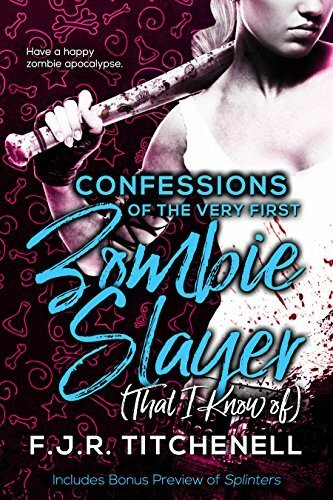 Loved Q Island and you’re right about Confessions of the Very First Zombie Slayer being a good read for the non-YA fan – the humour helped ;). Thanks for the list, a couple to catch up on! Here’s this great series by my friend. I’m enjoying J.B. Beatty’s “The World Itself Departed” and the next one in his series, “Contagion on the World”. Serious action and a different twist on the genre, with some dialogue that can be awfully funny at times.